Today’s Fun Friday Story is about a hidden treasure in one of our rental properties. The particular property in this case is a two-story duplex. When we bought it, the only entrance to the upstairs unit was a staircase that was on the exterior of the building, leading to an exterior door. This set-up seemed perfectly logical. The upstairs tenants moved out and we went in to see what improvements and repairs needed to be made. We noticed that part of the wall in the living room seemed like it was moved in closer than necessary. I guess we didn’t notice it before when the tenants were living there with all their furniture in the room. We thought that they just had an extra long closet, but when we went to look in the closet the room was really small. That did not make sense, as it left a good ten feet of what looked like covered in wall space. When you knocked on the closet wall, it sounded hollow on the other side. There was definitely something behind the wall. Curiosity got the best of us so we got a saw and cut a hole in the closet wall. 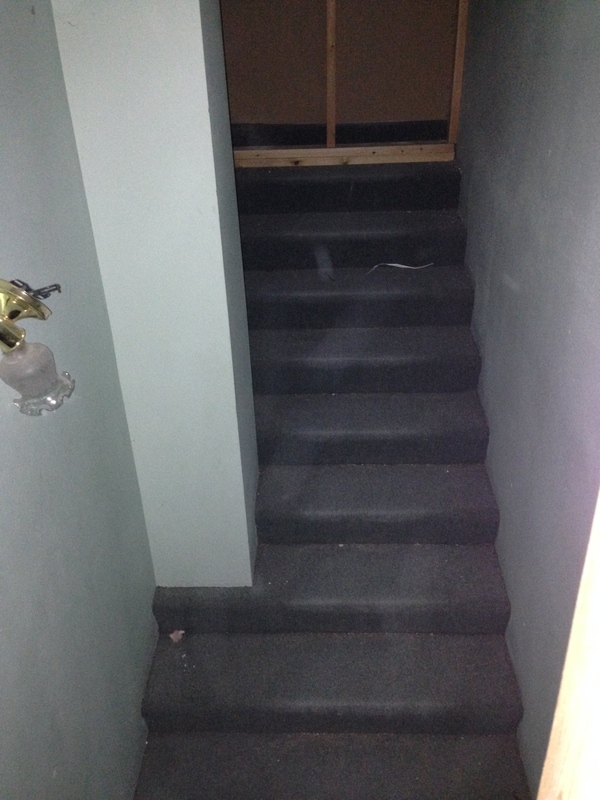 It turned out there was a full staircase to the lower unit that had been closed in. This was exciting to find. Ok, maybe it is not all that exciting, but it is not everyday you stumble upon a hidden staircase. There was not much more to the staircase besides a non-working light fixture and some old food wrappers. It was still a fun find. I think I will try to find a way to turn it into storage space for maintenance supplies. Bonus storage space is a treasure find if you ask me.